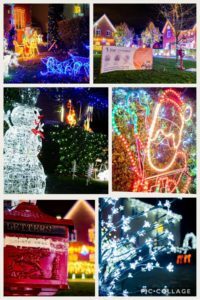 On the evening of 7th January 2019 we visited Wood Avens Way in Wymondham and had the pleasure of meeting the residents who took part in the amazing Christmas light display. 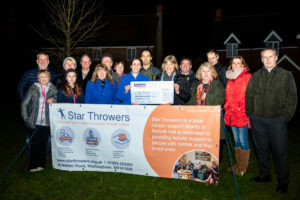 This year the fundraising efforts supported Star Throwers as one of the residents is currently benefitting from our cancer support services. The total amount raised was a HUGE £8041.13. We cannot thank the residents, supporters and those who donate enough. This is an incredible amount of money and will support approximately 230 people with cancer information & advice sessions and free complementary therapies. Well done and thank you to everyone.